It’s that wonderful time of year, when you’ve got plenty of excuses to trick your friends and family into playing board games with a few well-placed gifts, not to mention plenty of time hanging out. But there are always so many options out there, and it may not be easy to figure out the best options for the people you care about. Have no fear! We at iSlaytheDragon have collected recommendations from all of our writers. Turns out, we have a wide array of tastes, but we’ve managed to find games that fit into five categories: Stocking Stuffers, Social games, Family games, Hobbyist games, and the elusive non-categorizable category Staff Picks. Kingdomino won the Spiel des Jahres in 2017, so if that’s not a solid recommendation, I don’t know what is. Still, its small box size, affordable price, and quick playtime makes it a great stocking stuffer. As the name implies, Kingdomino is a twist on the classic tile-laying game, dominoes. This game takes it up a notch by adding pretty art, castles, a twist on the turn order rules, and different scoring. The goal remains the same, however: Score the most points. In Kingdomino, points are awarded by connecting tiles that not only have matching terrain, but which also have crowns within them. No crowns, no score. But if you have crowns in your territory, you multiply the number of touching tiles times the number of crowns. The turn order rules add a funky twist with the first player being the player who has a king on the first domino. After your turn, however, you move your king to a another domino in the next line of tiles, self-selecting not only your tile, but also your turn order. All in all, it’s a game that anyone can play, and which I’ve found especially resonates with older players who love a good game of standard dominoes. Fillers make great stocking stuffers. They’re compact, portable, use little table space and play briskly in less than twenty minutes. They’re also generally casual, laid-back affairs with little mental taxation to shoot the breeze. Noxford fills all the former specifications, but laughs at the latter concept. The rules may be simple. Play one card to the table on your turn, following a strict pattern. But gameplay will keep you flummoxed. You are a crime boss deploying your gang of henchmen to control districts while trying to avoid the Bobbies. A mere fifteen cards comprise the city and you have a gang of only ten. Get more of your thugs adjacent to valuable districts to muscle others out of your turf. But if any are adjacent to police barracks, they’re negated in scoring. All of that sounds straight-forward, but some cards allow you to move previously placed ones and you can use your stronger gang members to cover up an opponent’s’ weaker lackeys. The frequent card-swapping, swings in influence and ever-changing landscape will leave you agonizing over when to commit your strength or conserve it for a late power move. If you don’t want to give another throwaway that insults your friend’s intelligence, then stuff Noxford into their stocking to prove just how intense and interactive a filler can be. Hanamikoji took me by surprise, but it is a wonderful two-player card game. With just twenty-six cards, it manages to create a tense battle of wits where players will guess and double-guess their decisions. Each turn involves allocating cards, either offering them to your opponent or squirreling them away for yourself. However, you have to do all four actions each round, so you will have to give some things away that you don’t want to. There’s hidden information, bluffing, and lots of clever moments. Winning feels meaningful and so does losing. 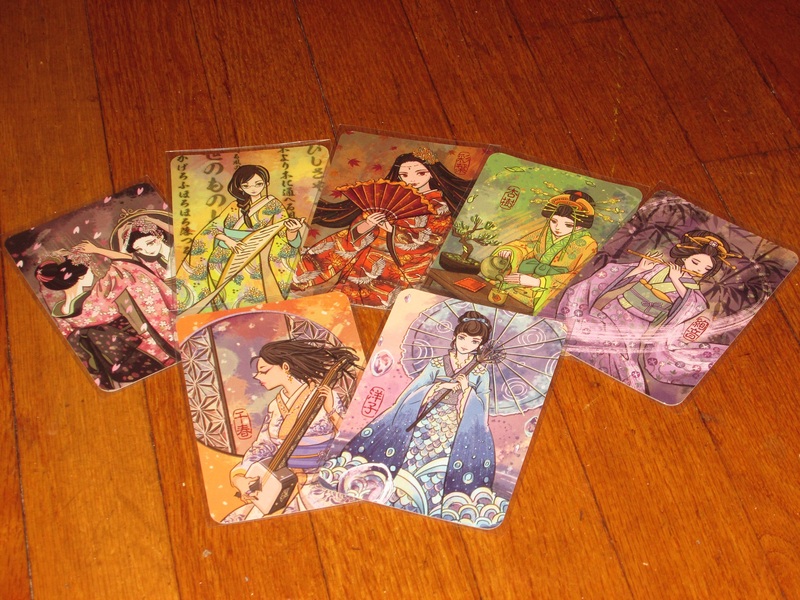 The art is gorgeous, which makes this brilliant card game an easy recommendation. I don’t really know why this game is so entertaining. Most people, on first exposure to the game’s name and box cover, aren’t exactly eager to jump in. It’s a cheesy pun, hot pink is heavily featured, and… I dunno. It’s just a thing. But as soon as you get people playing, the laughter begins. Anyone can play – the rules are so simple. It’s a spinoff of liar’s dice (featured in the second Pirates of the Caribbean movie) but with cute kittens and bright colors. You can play as short or long as you like, and it’s easy to play casually. Plus, you get the thrill of deciding if you’re going to call someone out or push your luck with a higher bid. Do yourself a favor and don’t overlook this. In this roll-and-write from Grey Fox Games, you’re in charge of tending your garden and feeding the pig. Roll dice, select a veggie to draw onto your score sheet or feed the pig. Harvest Dice has a nice bit of depth as you try to connect your veggies while following a few adjacency rules for scoring. It’s the dice that you don’t use, though, that help you feed the pig and unlock its special powers to give you an advantage over your fellow farmers. With quick turns there’s almost no down time, but if you have a few extra seconds, you can add a little artistic flourish as you draw your veggies. Stocking sufferers are usually the realm of trite and breezy gifts, but let’s mix things up a bit. Import / Export is a game that might take a game or two to even understand how it works and even more to gain a basic competency in. Likened to Glory to Rome, Import / Export employs multi use cards, auctions, and radically varied player powers to create a challenging games experience from a deck of cards and a couple of tokens. This cute, fattening cousin to Sushi Go should not be mistaken for a direct re-theme or rehash. Yes, the donuts are just as cute as the sushi, but this is a simultaneous action selection/set collection card game that has players trying to earn the most points by acquiring useful cards (i.e, fighting over the best donuts). If more than one player chooses the same donut, no one gets it because sharing and donuts are incompatible concepts. With plenty of ways to score points, this game is family friendly and everyone can be competitive, even those who don’t strategize but choose, instead, to pick the cutest donuts. Since it plays up to six, it’s perfect for those larger gatherings. Holidays are usually enjoyed with groups of people, most often more than a standard 4-5 player board game can accommodate. And there are enough party games out there based on trivia, speed and “serious” deduction that it makes one title difficult to stand out from others. One Night Ultimate Alien is a social deduction game, but thankfully sends the zaniness into orbit. Alien is the latest entry in the One Night Ultimate series that began with the stayed and true Werewolf – the common “get-a-role and deduction” tilt. This iteration adds some comically dynamic roles that generate new experiences each time you play. The additional roles and possible individual victory conditions make the exercise more chaotic, but also more interesting and engaging. And there’s a digital app that assists in set up and talks everyone through their actions. If there’s one on your list that you know is ready to take party games to the next level, this out-of-this-world title will fit the bill. 20 Questions is a game that most people know how to play, and the idea of introducing a traitor to the game is a genius one. Werewords didn’t invent this conceit, but it does nearly perfect it. Werewords is one of the best party games I’ve played. It combines the fun of social deduction with the fun of clue-giving and guessing, and the (necessary) companion app takes care of the bookkeeping and false starts that can sometimes occur in user error. Add to this a humongous bank of words (also customizable), and this is a game that is bound to delight for years to come. 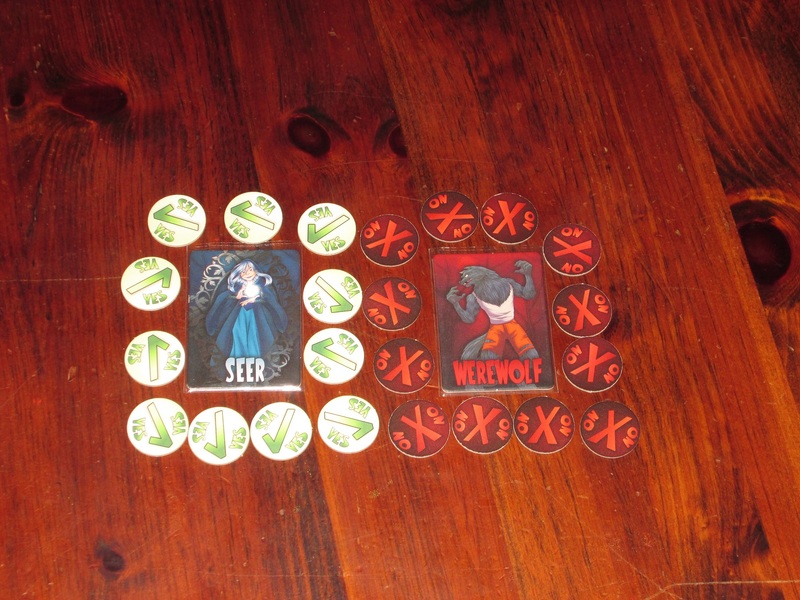 What happens when you combine Mysterium with Werewolf? You get Deception, a game of deduction and betrayal. Like Mysterium, one player knows the murderer, weapon, and evidence needed to put the killer behind bars, but can only give clues through vague hints. (Mysterium uses weird art, while Deception uses broad descriptions of evidence). Unlike Mysterium, one of the players at the table is the killer! What I like about this particular hidden-role game is that the Murderer doesn’t have to spend so much time lying – instead, they can just try to interpret the clues given by the Forensic Scientist and figure out which cards belonging to the other players fit those clues best. This takes a lot of pressure off of people who have a hard time lying. There’s still plenty of tension though as everyone tries to figure out the truth with a very limited number of guesses and clues that aren’t always the most helpful. This Target-exclusive version of the classic Las Vegas by Ravensburger, Vegas Dice Game features the same quick play of the original, as each player rolls their set of dice to try to gain control of the various properties. At the end of the round, whoever has the most dice on each property collects the money. What sets this apart from similar press-your-luck games is when two or more players have equal amounts of dice on a property. They don’t split the money at the end of the round; instead, they can’t claim any money on it. You’ll get used to the loud laughs and groans when the last player of the round sneaks onto a property with a single die to steal the cash from the tied players. Vegas Dice Game will be a hit at any holiday get together and will give everyone the thrill of Sin City without the fear of losing their shirts at the craps table. For a casual environment, you can’t do much worse than BONK. A mix of Foosball and the old childhood game, Crossfire, BONK incites excitement and the competitive spirit. Because it’s a 2 on 2 experiences, rivalries can be established and grudges will be made. Games go quickly so it can be as fun to watch as it is to play. BONK is tailor-made for the party experience. Dream Home is a lightweight set collection and card drafting game that has players striving to create their dream home. (“Dream” being defined as the home that scores the most points, not the one that looks the coolest.) You’ll be choosing cards from the tableau, placing rooms and decor into your home, and using special tools and helpers to aid you in achieving the optimal card placements. Your score comes from having the biggest rooms placed in the most useful positions, as well as having extra decor and a fully functional home (i.e., one that doesn’t leave out the important stuff, like bathrooms). Dream Home is simple to learn and play, yet there is enough thought here that adults won’t mind playing with the kids. Anyone who likes to build stuff, play with dollhouses, or is a Sims addict should find this fun. Kart racing video games are a blast. The problem is that generally only a couple can play at a time on one console. So if you want to give a wild and crazy race that the whole family can enjoy together, Rush & Bash is accessible, full of wild action and as close an analog equivalent to video kart racing you’ll get. Each racer, the track accommodates six, controls a car with unique abilities. And trust me, you’ll want things as jammed as possible, even to the point of employing bots with special AI rules. Play is simple, letting any gamer with any experience get into the action immediately. You choose a card, resolve its action if you wish and then accelerate the number of spaces indicated in your current lane. Along the way you can crash into objects or other players, lay bombs, fire rockets, heal and power up to use your unique abilities. If your car sustains too much damage (which will happen often! ), don’t worry – just fall back to the last checkpoint and earn an ability boost for your troubles. Rush & Bash comes with plenty of double-sided boards to create all kinds of unique tracks, from the fast and furious to the scary and outlandish, with a variety of obstacles and challenges like a 3D bridge, a volcano, road kill and a nearly impassable jungle! Customize to your engine’s content. If you know that crazy family that plays together, rush out now and give them this bashing good time. Bärenpark is a new game to me. I missed out on the first wave that hit stores, but I managed to get the second wave, and it is fantastic. It provides a sense of accomplishment from building something from nothing, and fitting puzzly polyomino pieces together is just satisfying. Aside from this, the game is quite competitive, as you can’t possibly score the most points in every category, and the longer you wait to do things, the fewer points those things are worth. All of this is contained within a rules-light package with a charming theme and well-illustrated components. I love this one. There’s something about a game with bright, colorful, weirdly shaped pieces that draws people’s attention. This game’s got nothing to do with love potions and everything to do with wonky stacking numbers on each other. A few sneaky rules prevent this game from being anything but easy to win, but the rules are incredibly simple. Everyone has to work with the same pieces to create their stack, and things just don’t fit nicely together. I often joke that the subtitle of this game should be “My plans have all gone awry” instead of “Take it to the next level” because you just never know when that piece you need is going to show up. It does a pretty good job keeping everyone on a level playing field, and it’s a whole lot of fun trying to piece together something brilliant – if only that number 9 piece comes out at just the right moment. Much like its spiritual predecessor, Splendor, Century: Spice Road features a trading market theme and streamlined play that makes it an excellent choice for family game night. Instead of Splendor’s poker chips, tarot-sized cards are used to make up the engine for each player’s turn. As players acquire better cards they can more efficiently trade their spices for more valuable ones and eventually acquire the spices to fulfill one of the community contracts before their opponents do. With only one action per turn games move briskly, so be prepared to play a rematch immediately. It’s not exactly a Splendor killer, but Century: Spice Road’s silky smooth ruleset guarantees a pleasant evening at the tabletop. Shop ‘N Time captures the feeling of being on the Price is Right in a delightful way. Players try to guess the prices of various items with the twist being that you might be trying to guess what they cost in the 1920’s. The use of mobile app as a timer and checkout register works well and it even charmingly uses the box so you can slide cards as if you were at an actual checkout stand. If you like fantasy creatures, this game has almost all of them. Centaurs, elves, merfolk, dwarves, orcs, skeletons, wizards, and minotaurs are just some of the tribes in this card-based area control game. You’ll be gathering cards representing these tribes and then playing them to gain control of various regions of the kingdom. Each tribe also offers special powers to help you win. The player(s) with the majority in a region at the end of an age earn glory points and the most glory at the end of the game wins. Offering plenty of variability (all those tribes! ), solid components, relatively fast playtime for an area control game, and a solid decision space, this is one for the fantasy-loving gamer. Note that it’s not beyond new gamers, either, making it a good gift for a family, too. I find that it also scales well at two players, something that’s not always easy to find in area control. They say all’s fair in love and war. You can include business in that short list and, I’d like to think, board gaming, too! That’s right, some of your gamers embody that and are on the naughty list. Unfair allows them to channel their devious nature while developing amusement parks in direct competition with each other in this resourceful tableau-building card game. In Unfair you build an amusement park with rides, attractions, nifty upgrades and entertainment staff hoping to attract guests and milk their pockets for all they’re worth. While well-structured with amazing components and helpfully intuitive graphic design, there is a learning curve, especially with the variety of cards. But hobbyists will immediately note the design’s flexibility. There are multiple thematic decks which you can mix and match to change the feel of every session. Any and all of these provide excellent comboing opportunities. There are endgame goals awarding points for shaping your park a certain way. And events allow you to boost your own business or shrewdly sabotage a rival’s. You can customize the type, choices and style of interaction to your sensibilities – or your group’s. For that experienced gamer who can be difficult to buy for – even one that really deserves only a lump of coal – this versatile title fits that personality well, and offers plenty of reasons to get it to the table often. I know, I know: I chose Concordia last year, and I’m starting to sound like a broken record. 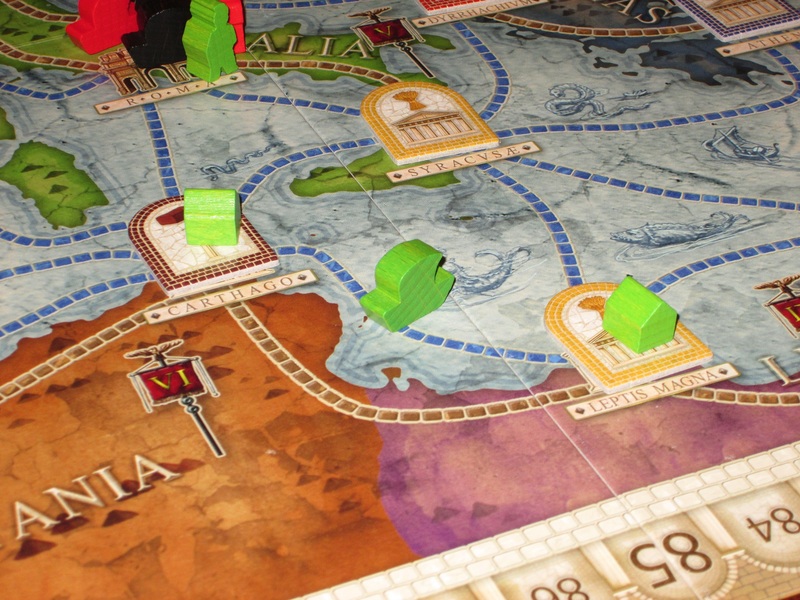 But Concordia really is one of the best hobby games I’ve played. (I currently rank it #4 in my top ten games of all time.) The rules are deceptively simple: Each turn, play one card and do what it says. But the whole game is about managing efficiency. How do you stretch each action to the maximum, while also taking advantage of opportunities as they come? This game represents the best of what Euro games (and hobby games in general) have to offer. It’s engaging and competitive while maintaining a peaceful, friendly atmosphere at the table. This recommendation comes with a caveat: you better know the person you’re buying for wants this game. Let me be clear. For years, Twilight Imperium has been one of the best civilization-building games out there. Filled with massive fleets, space combat, trade negotations, politics, deal-making, backstabbing, and all the things you’d want in a massive 8-to-12-hour game about building space empires, this game is big, beefy, and fun. But yeah, I did say 8-12 hrs, which means this game isn’t for everyone. But for the people who want it, the 4th edition is a wonderful upgrade to an already excellent game. In my recent review I gave it a full on 10.0 because it fixes some of the more tedious rules of the 3rd edition and takes everything up to the next level and improves other features of the game in ways I didn’t even think possible. The new components are fantastic, and it all comes packaged in a… er… $150 box. Your gamer friend/spouse/family member will certainly appreciate it – again, if they’re in to this sort of thing. Yes, I’m cheating, I’m picking two Hobbyist games. What can I say? My first pick is for a very specific audience. My second hits a broader scope. The newest Civilization game (based on Civilization VI, the PC game) from Fantasy Flight games goes in a slightly new direction. Rather than trying to capture the epic 4X feel in a massive hours-long game, Civilization: New Dawn streamlines everything into a 90 minute strategy game. Instead of building armies to conquer and spread across the land, you’ll use a mixture of abstract combat, trade, and cultural influence. 5 action cards lay in front of you in a row, each a different area of focus for your civilizations. The farther to the right a card is, the more powerful its effect, so you have to balance choosing the actions you want with how effective they are. You’ll add new cities on the board, but you’ll also add tokens that represent your influence and control. You’ll collect resources, send caravans to collect trade goods, and even invade other empires – but in a fairly abstract way. It’s a nice package with beautiful components, and it does capture that civilization-building feel without an overly complex ruleset, and it really only does take 90 to 120 minutes. Released last year, Terraforming Mars continues to earn rave reviews from gamers, for good reason: it’s a deeply satisfying and thematic experience as you and your opponents are competing corporations trying to make Mars suitable for human life. Players start with a few resources to complete their mission and using smart card play try to build an efficient resource-producing engine to score points, reach milestones, and earn awards. Of course, Mars (along with some of your opponents’ actions) can be a hostile environment so not all of your plans will go smoothly. It’s up to you to deal with the ever-changing conditions. The solitaire game has also received lots of accolades so even when you can’t get enough players to commit to the standard play time (90-120 minutes), you’ll have plenty of solo challenges. With two new map expansions available and a full expansion due soon, Terraforming Mars will continue to draw new players to the Red Planet. The Ruhr is the latest release in the Coal Trilogy from Capstone Games. It takes a pick up and deliver game and adds a tech tree. Every delivery you make brings you closer to unlocking another ability. There’s a great escalation of power that slowly unfolds over the course of the game. 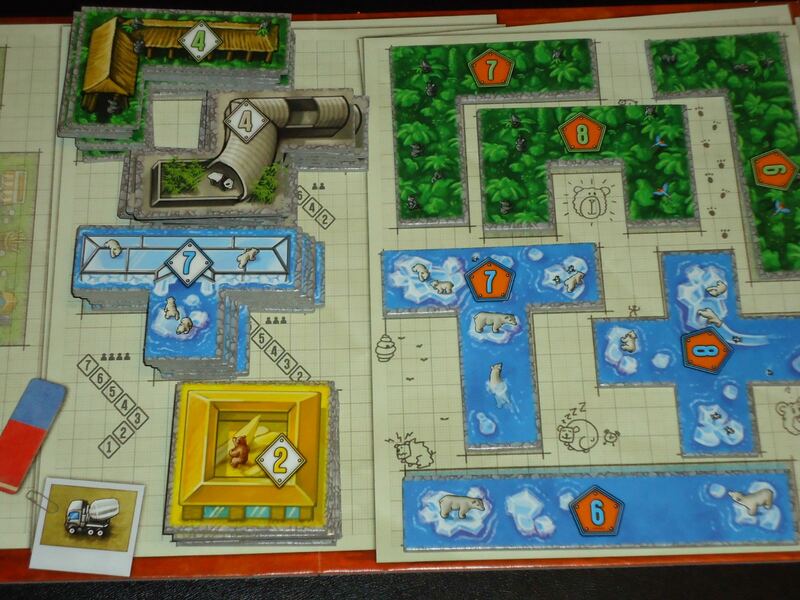 And if things start to get stale, a whole new map is included on the other side with new abilities and obstacles. Sagrada is a dice drafting game in which players are attempting to create a beautiful stained glass window for the Basilica de la Sagrada Familia. You’ll be placing dice into your window, but you can’t just put them anywhere. There are tricky placement rules that make this game a challenging puzzle. There are tool cards to help you out, but you’re limited as to how much help you can use. You earn points for completing both public and private objectives, as well as filling in your window completely. Sagrada offers everything I love in a game: Simple ruleset, quick set up and tear down, gorgeous components, and enough decisions to make/puzzles to solve to move my brain into another gear. It’s light enough for family play, but thinky enough to keep gamers occupied. In Dojo Kun you are a sensei training your athletes to compete in a martial arts tournament and the gameplay nails that theme and setting. Consisting of two rounds, each one is divided by a training phase and tournament phase. In training, masters can teach their athletes moves and techniques, level them up in fighting disciplines, send them on adventures, help out the village, or develop their dojos. In the tournaments, you will enter your best students in a round-robin bracket to test their skills. Here their experience gained in training directly influences the type and quantity of dice they roll in fast-paced and tense matches that keep the whole table involved. If you’re looking to spread peace and joy this holiday season, put a bow on this Eurogame/Ameritrash hybrid that will bring goodwill to fans of both. Pandemic Legacy: Season 1 was a massive hit. While some people weren’t thrilled with the idea that you couldn’t replay the game thanks to some permanent… um… steps taken with the components, the thrilling storyline and epic feel of the legacy story added on to an already beloved game system created what some hailed as the best board game ever. I played through it with my wife, and it was filled with exciting twists and turns and went in directions I never expected. Season 2 promises more excitement, set 70 or so years after season 1 with a world nearly wiped out by a massive plague. And… that’s about all I know. While Season 2 hasn’t gotten the same hype as Season 1, I’ve heard murmurs of good things, but I haven’t played it myself. The main reason this game is my staff pick is because I really want it. So feel free to buy it for me, if no one else. Bibliophiles, rejoice! In Ex Libris you play as a collector of old and rare books. You won’t do it alone, though, sending your assistants to perform actions that will nab the books for you. You’ll place the books on your shelves and like any serious collector you’ll want them to be in alphabetical order. Players with the most books in order, along with the most books in each category will score the most points, while players who haphazardly throw their books onto their shelves will suffer penalties. During the game there’s a variable worker placement mechanism, so there will be different actions available every round. 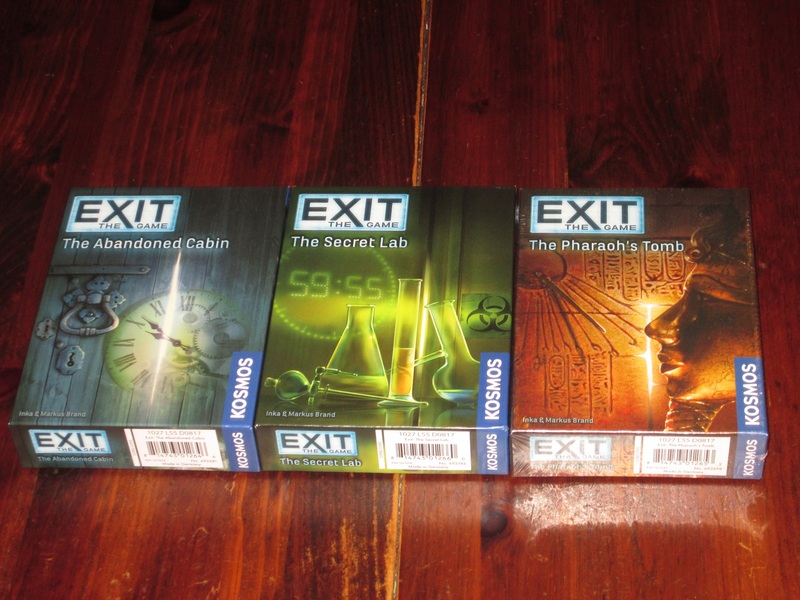 It’s an intriguing element that increases the amount of replayability and, like a good book, you’ll want to return to Ex Libris again and again. Vital Lacerda has garnered a reputation for creating grand, involved strategy games and Lisboa is perhaps the crown jewel of his ludigraphical output. Players are trying to rebuild the city of Lisboa after an earthquake, tsunami, and fire have ravaged it. All the while, you’ll be trying to court the favor of the church, the king, and the marquis. It’s not a game that you can approach half-heatedly, but if you devote the time to learn it’s intricacies you’ll be rewarded with one of the best gaming experiences of the past few years. Thanks again, everyone, for taking a look at our gift guide. I hope you found something you like – or that someone you know would love to have. Happy holidays from the gang at iSlaytheDragon! Great list! Admittedly, many of these games will not see the Gaming Table as they’re eithr far too light or don’t appear to be all that interesting (NMBR 9 and Shop-n-Time). However, Jennifer and Farmer Lenny have some of my favortie titles, which include KingDomino and Sagrada, the former which will serve as a Hannukkah gift and the other is one I can play with friends or my 77 yo mother; and Barenpark and Concordia…great games! Finally, while I won’t buy it for a few years as I still love my modified version of TI3, the newly released TI4 (thanks, Wolfie!) looks amazing and appears to have changed many, if not all, of the things we’ve house-ruled over the past few years.